Evolution of the European Union: Early Seeds of Dissolution? Britain has always been a part of Europe and yet at the same time, it has seen itself as distinct from the rest of the continent — the English Channel has often proven to be more than just a geographic barrier. However, in the shadow of World War II, as the continent realized the need for greater political and economic cooperation, there was a shift among the British ruling elite towards more integration. In 1961 Britain applied for membership of the EEC. French President Charles de Gaulle was concerned that British membership would weaken the French voice within Europe and decided to express veto power with a resounding “non.” He also feared that close Anglo-American relations would lead to the United States increasing its influence in Europe. Charles de Gaulle also vetoed a second application from Britain in 1969. Soon after President de Gaulle resigned, the Conservative Prime Minister, Edward Heath, took the UK into the EEC in January 1973, along with Denmark and Ireland, which expanded total membership to nine countries. 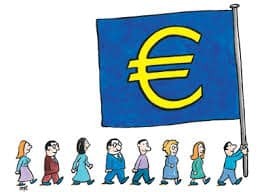 The European Monetary System (EMS) was created in 1979 in an effort spread currency stability throughout Europe by encouraging countries to coordinate their monetary policies. It used an Exchange Rate Mechanism (ERM) to stabilize exchange rates to facilitate smoother trade between Member States and thus help the development of a single market. This laid the foundations for a single European currency. Britain was the only EEC Member State not to join the ERM. Britain, under the leadership of Margaret Thatcher, negotiated an EU budget rebate in 1984 after threatening to halt payments to the EU budget. Britain felt it was being treated unfairly as it was set to become the biggest net contributor, despite being the third poorest EC Member State. This was largely due to Britain’s limited eligibility for farming subsidies. The Fontainebleau Summit agreed and granted Britain a rebate. 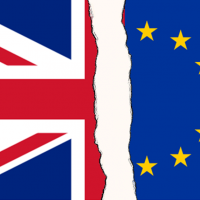 On June 23, 2016, Britons by a narrow margin voted to leave the EU, or Brexit as it is more commonly known. 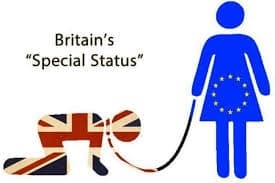 While many experts blame the results on growing nationalism, frustration with migration from other, poorer EU countries, and general opaqueness and bureaucracy in Brussels, the seeds of Euroskepticism have been present for more than 50 years, to before when Britain joined the EEC. Arthur Hartman, who among other posts served as Deputy Chief of Mission to the European Economic Community in the 1960s, discusses the resistance many in the UK felt to joining and noted that many British politicians opposed integration on nationalist grounds and did not like the centralized government in Brussels which even then ruled by edict. He was interviewed by Charles Stuart Kennedy beginning in October 1999. Susan Klingaman, who covered the EEC from the State Department’s Bureau of Intelligence and Research (INR) from 1970-72, predicted more than 40 years ago that the EC could mean real problems domestically in the individual countries, particularly if they headed toward monetary union. She was interviewed by Charles Stuart Kennedy beginning May 1998. Go here to read Part I on the road to European integration. HARTMAN: Today, the European Union and the USA have the largest bilateral trade partnership in the world, and our cooperation with Europe has been the basis for our foreign policy for the last fifty years. Europeans do, I think, feel a sense of unity which gives them more strength and confidence as our partner, because we are rather overwhelming on the scale of international relations. We wanted to create strong European unity, which would only happen if Great Britain joined the EEC and did not try to undermine it. [Under Secretary] George [W. Ball] sent me to Europe so that I could announce [British Prime Minister Harold] Macmillan’s serious commitments to apply for membership in the EEC. I first went to Brussels to meet with our representative to the EEC, Walt Butterworth, who was known at that time for being skeptical of British intentions to join the Common Market…. [President John] Kennedy felt the British earnestly wanted to get in and that they should be taken seriously. I had to speak with Butterworth first to get him in line because he too suspected the British of wanting in for the wrong reasons. He thought that perhaps the British wanted to integrate the EEC and water it down for it to become a free trade area. I had dinner with [President of the High Authority of the European Coal and Steel Community, ECSC Jean] Monnet and [first U.S. Ambassador to the Organization for Economic Co-operation and Development, OECD] Jack Tuthill. Monnet immediately saw that this was something that he should take a hand in and try and bring about; he thought that if the top of the British government had made this kind of historic decision of applying for EEC membership, he should help overcome the fears and skepticism of the French government. My last meeting was with the number three man in the French Foreign Office, who later became the Governor of Treasury and Ambassador in Russia and in Germany. His name was Olivier Wormser. 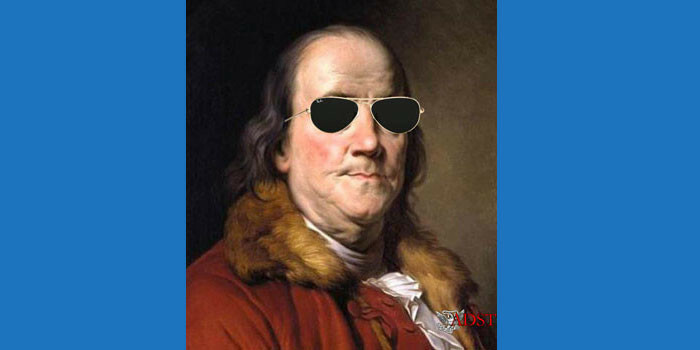 He was always a very tough negotiator and a thorough Frenchman. Wormser, a staunch de Gaulle supporter, was the number one deputy on the economic side of the French foreign office. He made a valid point, by saying that the British were not ready for their entry in the EEC. Ironically, the agreement eventually defeated itself because de Gaulle was so furious that the Americans were helping the British acquire the bomb (and not the French) that he vowed to veto British entry into the EEC. 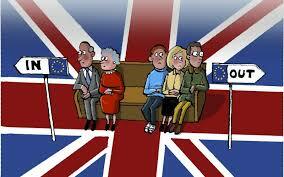 At the beginning of the 60’s, British entry into the EEC seemed impossible and it did not come to pass right away. However, to try and jumpstart further negotiations on British integration, George Ball sent me to London in 1963 as head of the Economic Section of the Embassy…. When I arrived in London [in 1963], we were in the middle of a dispute called the Chicken War. 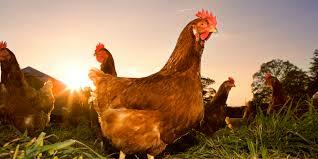 The Chicken War was all about how the United States couldn’t get its chickens into the European Community. They managed to come up with regulations that denied us this great export from Arkansas. I remember my first press conference at the Embassy — a young officer new to London explaining the Chicken War to a very doubtful but amused British press corps. What I really wanted to do, and what Ball wanted me to do, was go to London and get immersed into the politics of the European Community there, because it was the time of their second application to the EEC. Through my work, a goal of mine was to push strongly in favor of British integration. At the Embassy, I succeeded Joe Greenwall as the head of the Economic section. He introduced me around, particularly to the press people and to the pro-Europeans on the Labor side. I did a lot of speaking around the country. Not saying, “You must join” but finding a way during the middle of trade negotiations to talk about trade and what access to the Common Market could mean for British trade. I wanted to get through the implicit message that there didn’t seem to be any other place for the British to go except the European Union, and then kind of educating people about it this one option. I told them that it wasn’t simply a free trade area, but that these fellows on the continent had higher aspirations, involving a much more politicized and political union. Certainly, as they moved from the Coal and Steel Community [ECSC] to the European Common Market, it was becoming much more than a trading area, and was evolving towards an economic union, soon to become a monetary union. However, at the time none of us anticipated that the union would form so quickly. There was a group that worked out of Chatham House, which was a British Council on Foreign Relations that was building up support for joining the European Community. Of course, the business component of that council was made up of the heads of big manufacturing businesses in Britain, and they were all very anxious to get in the EEC. I encouraged some of my friends on the continent to come on over to London to talk at Chatham House, and by doing so establish communication with the British who were beginning to be pro-European. David Bruce was a very subtle diplomat and so none of us would go out and say “You’ve got to do this. This is American policy.” That wasn’t his style and he knew it would be counter-productive in a place like that. 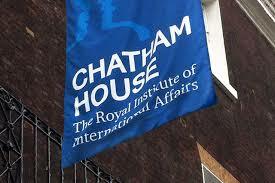 What you had to do was go to Chatham House, be on panels, go out and meet political leaders. The first attempt at integrating Britain had failed while George and I were having lunch with [West German Chancellor Konrad] Adenauer, so I went there for the second run at the British entry and it was good fun. I met a lot of people who had important national offices, and who could play a role in promoting the European idea within the political class…. Around that time, a political group was formed that was much more favorable to the European Community than either of the two leadership parties. Within the parties, there were also people who were very pro-European and they helped convince most of the politicians that integration was a smart move for Britain. However, some politicians were a real thorn in this European integration debate because they promised to uphold Britain’s national identity. Ironically, the man who swore up and down that he would never let it happen was a conservative politician from Scotland. It took all the efforts of the smaller group of people who were favorable to integration to overcome nationalist opposition. It was not so much that they were convinced Europeanists, like Monnet, but they pragmatically saw that even though they were close to the United States, they were losing their Empire status and they could not afford to stay out of Europe. [Secretary of State Dean] Acheson’s quite unsubtle remark stayed with them, “Britain has lost an Empire but not found a role.” The British were also put under pressure by the financial people in London, because there was no doubt in anybody’s mind that London was going to become the center of financial Europe. And they were right. All the American banks now are in London, not Frankfurt or Paris. Our strategy was to convince the British by stressing the leadership they could bring to Europe. I would talk as an economist but I would also use their pride, emphasizing that they could participate in a whole new integrated financial zone in which they would be a driving force. English was the language of finance. I could talk as an economist so I would always talk from a very pragmatic point of view. I would use their pride. [U.S. Ambassador to the UK] David Bruce made a couple of speeches for which he was criticized, but he just made a few remarks saying “You ought to take the leadership of Europe.” And indeed they became one of the leading influences of the European Community, along with Germany and France. When they were still debating on European integration, the British always felt that the continent had a different set of basic principles. He felt the British would be a liberalizing influence, particularly over the French, who had a hold over the Germans, and therefore a stranglehold on policy. They directed policy and particularly the Common Agricultural Policy (CAP), which was the most protectionist policy of all. The French felt this, and somewhat resented our efforts to integrate Britain, because it meant a loss of influence for them. They accused Britain of being a Trojan horse for the United States. The British had the same interest in liberalizing European trade policies; they had an agricultural lobby and were also done out of some markets because they couldn’t compete. They too had a subsidy system, but it was much more sensible than the CAP. They paid individual farmers who couldn’t produce economically. The British joined us against the system the French wanted, which was not only to pay large subsidies to the domestic farmers but then to subsidize their exports. We felt that Britain’s entry into the EEC would strengthen it as an institution, but it would also help us solve some of its flaws. KLINGAMAN: The big issue at that time was the application of the British to join the EC [European Community] and much of my work focused on that, on whether or not the British would join. And if they did, what would be the implications for Britain and the United States? And the second issue that I looked at was whether the EC would integrate further economically and whether EC member countries would also move toward some kind of political union. What would this mean for the rest of Europe? What would this mean for U.S. relations with Europe and so on? It was a very active period in the European Communities…. Between ’70 and ’72 there were more voices being heard around the country and somewhat within the government about whether this was really a good thing for the United States. I think the emphasis had been after the Second World War that yes, of course European integration would be a great way to encourage European recovery, Western European recovery. It was a great wa y to tie Germany, of course, which was divided, together with France in some way that would make them mutually dependent and hence, the theory was, peaceful. But people were beginning to think that well now, it looks like this is in fact happening but what is it that we have been giving all this lip service to? What is it going to do to us? What will it do to our trade interests? The EC had moved very much toward a customs union and it had also developed a common agricultural policy among the six original members with common external tariffs and quotas and what have you that were shutting out American agricultural exports. The EC was also subsidizing its agricultural exports competing with us in other markets. So people were beginning to look at it in a much more differentiated way, I would say…. There was some conference being held at the university there on European integration. Of course I presented the U.S. Government position which was yes, we favor this for various reasons that I have more or less just stated. Yes, it does have economic implications for us, but that we feel it will be in our long-term interests to support continued European economic integration and British entry into the EC. The focus that I remember was on whether Britain would decide to join. I think it was pretty well decided by that time that if Britain wanted in they would get in. It was pretty clear that Britain would probably go in. Although Britain stood to lose in some ways, one of them being that it would have to contribute a lot of money to the European Community budget to support among other things inefficient German farmers and things like that, people basically felt it would strengthen the British economy and really force the British to undertake some needed economic tuning up of their own. This is in fact what happened. Of course in addition to British entry there were other applicants including Ireland and Denmark. Throughout that period the U.S. official policy, and I think it was basically held throughout the government with perhaps some misgivings within some departments, was that we supported further European integration and British entry, the so-called enlargement of the EC. 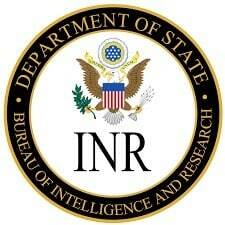 There was some ongoing debate between the INR analysts and the analysts on the research side of the house in the CIA. I think that to some extent this was simply reflective of the differing views held by the directors of the two offices involved. The CIA research office working on the EC usually had a comment at the end of its analyses that said that all of this was looking good and if we don’t have European union today, we’ll certainly have it tomorrow. Whereas our office would always have a comment, and it was my boss’s comment, which would be that you might think it looks like we are heading toward European integration but look out for the French, they’ll never stand for it. People were speculating at that time about the possibilities for monetary union. There already was a plan. The French had put forward the Barre Plan for monetary union. We did point out, and I think rightly so — I know rightly so — that full monetary union has tremendous political implications because it certainly restricts freedom of individual countries to run their own fiscal policy, and their own monetary policy and all that entails domestically and politically within each country. At that time also the six member countries of the European Communities were also starting to consult on foreign policy issues. They did not always speak with one voice but they were beginning to try to do so. You were beginning to hear about an EC voice in the United Nations for example. I think to some extent within NATO, also. So there were the beginnings of political consultations on foreign policy issues at that time…. My feeling was that [the European economy] was definitely developing further. They had a customs union by that time. I mean the internal tariff barriers among the six had been removed. They had common external tariffs. They had a common agricultural policy. They had a plan for monetary union. They were moving toward a common industrial policy, trying to harmonize their respective company laws, rules on subsidies, etc., and it also looked like they were determined to move ahead on consultations on foreign policy. I felt that it would be a slow process but I felt that it would move forward. At the time that I left INR in February of ’72, the British were about to enter the EC. The Germans insisted that the German farmers continue to be subsidized. There was an awareness as I said before that further integration within the EC could mean real problems domestically in the individual countries, particularly if they headed toward monetary union.